Originally stretching over 5 acres, the park has now been reduced by more than half of its surface area, which was subdivided in the 1990's. Fortunately the central part and the water mirror, the true point of balance of the park, have been restored to recover the composition and the spirit of the work of Mallet-Stevens. At 72 metres long, the water mirror is an extension of the great hall and the circular driveway to the North. 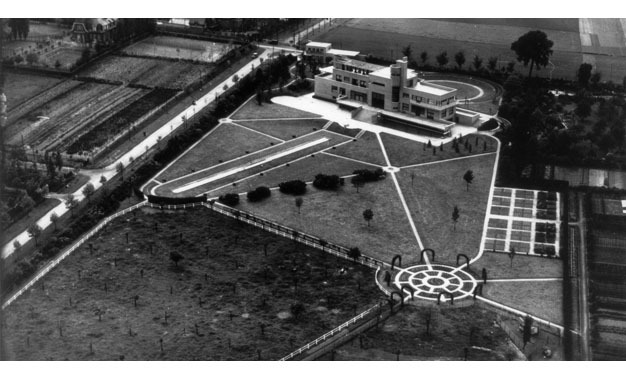 Too visible from the sky, the water mirror was filled in by the Germans during their occupation of the villa. On the renovation of the park, it was unfilled and completely restored. Designed to facilitate the flow of motor vehicles and dropping off of guests, the circular driveway contributes to the dramatisation of the access to the villa. From the portal, located in the corner of the property, visitors gradually discover the monumental façade of the building. The hosts get out of their car under the porch, while the driver continues on the circular driveway to turn around in style. The swimming pond, measuring 27 metres in length, marks modernity of the property. 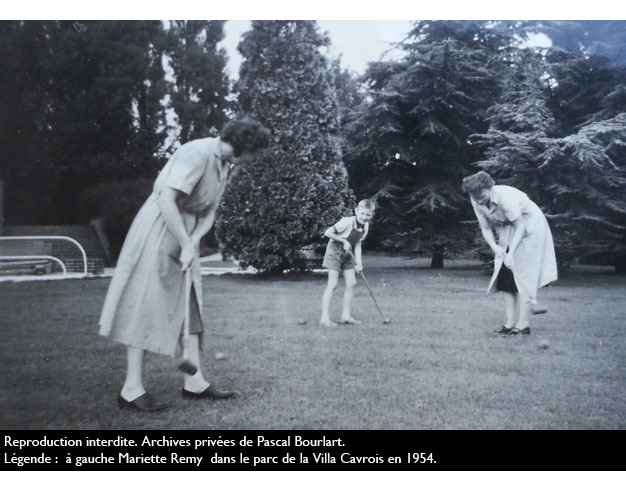 It responds to a concern for hygiene, health and sport that characterises the programme of the villa. With gymnastics, swimming, during the inter-war period, was a highly valued sport. The proximity of the boiler, adjacent to the pond, maintains the water at a comfortable temperature. 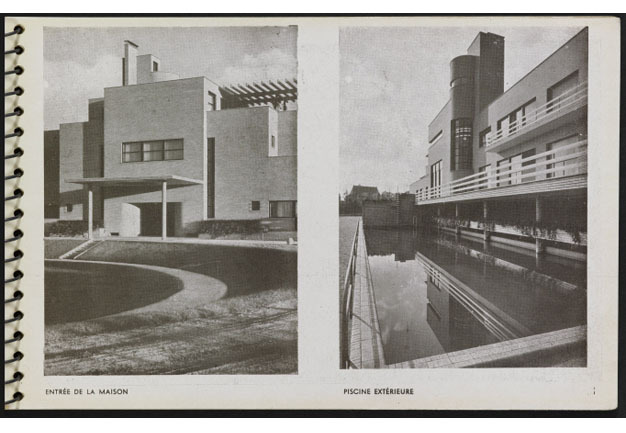 Mallet-Stevens replaced the traditional high roofs of northern France by roof terraces in conformity with the principles of modern architecture. These terraces offer views of the park. 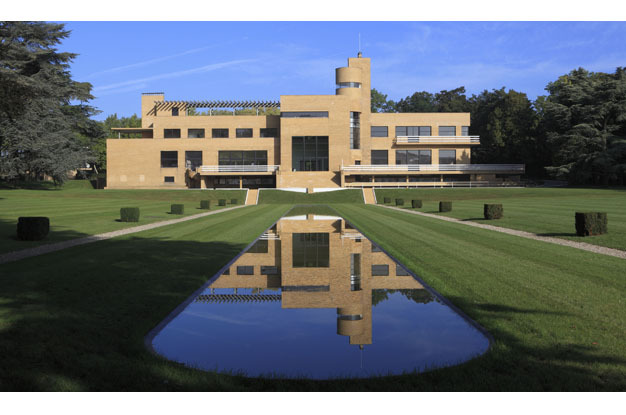 The belvedere, a true beacon that signals the villa in the landscape, enables contemplating the surrounding countryside and Roubaix factories whose production ensured the prosperity of the Cavrois family. 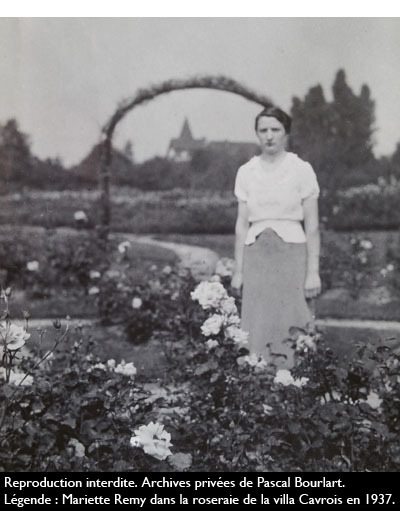 To the east of the park, Mallet-Stevens designed a rose garden in the tradition of classical gardens. An orchard, a vegetable garden and chickens provided supplies for the pantry. These elements of the park disappeared during the subdividing of the land in the 1990's.